Increasingly incandescent across the London jazz, funk and world music scenes, alto saxophonist and composer Samuel Eagles announces his debut Whirlwind release Ask Seek Knock with his band, SPIRIT (saxophonist Duncan Eagles, pianist Sam Leak, vibraphonist Ralph Wyld, double bassist Max Luthert and drummer Dave Hamblett), breathing life into eight, expansive, original compositions. Eagles’ solo debut of 2014, Next Beginning, plus subsequent appearances on studio recordings with other artists, provided the swift impetus to a professional career which had its roots set at the Royal Academy of Music and then nurtured at Trinity College of Music. The saxophonist was mentored and educated by musical luminaries Mornington Lockett and Jean Toussaint, so it’s entirely appropriate that Toussaint augments the personnel here by guesting on two numbers with customary flair. Creative efflorescence can be triggered by significant, often emotional life events – an oblique, unexpected source which mines one’s innermost feelings and channels them via another route with unclouded clarity. Samuel Eagles’ inspiration for this body of work arose from a period of what he describes as his own “spiritual enlightenment” following a turbulent few months (not unfamiliar throughout compositional history). As he explains: “I’d had some tough things to go through, which had the effect of pushing me deeper – both devotionally and artistically. I eventually came through it all with a sense of purpose and positivity which revealed the musical direction for this album”. Pairing alto and tenor saxes upfront, as well as overlaying the differing timbres of piano and vibes, affirms the richness of Eagles’ writing. His ear for textural combinations and strong, melodious riffs can be heard in the steadfast buoyancy of ‘Eternity Within My Soul’, which teems with improvisational character, and in the searching serenity of ‘Changed, Changing Still’, enhanced by Ralph Wyld’s sustained vibes and the lucid double bass expression of Max Luthert. Beauty, light and courage are symbolized in resolute ‘Dreams and Visions of The Son’, including a lush, prismatic tenor spotlight from Jean Toussaint (“It’s amazing to have Jean playing on the album, as he’s been so supportive in developing my own identity”), and ‘Hear His Voice’ sparks lively, modal conversation between Toussaint and Samuel Eagles, bolstered by the robust rhythms of Luthert and Dave Hamblett. The two Eagles brothers share the sax lead to blithe, soulful ‘The Twelve’, featuring typically eloquent high piano invention from Sam Leak, while wispy though assertive ‘SPIRIT’ opens the door for Samuel’s imaginative alto extemporizations. Pastoral ‘Hope In The Hills’ was prompted by a true story of benevolence involving a tour bus breakdown in Italy, where an uphill country-lane push led to campsite owners who provided log cabin accommodation, food and van repairs (“We were stranded for four days in the most perfect place possible”). 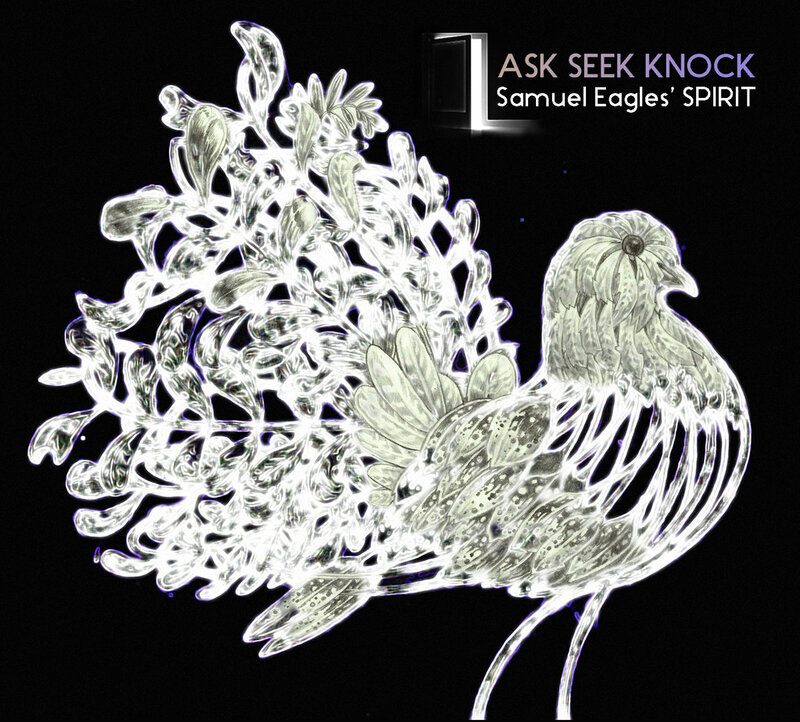 And the funky sax-duo groove of title track ‘Ask, Seek, Knock’, with effective bubbling piano figure, asserts a belief in seeking faith and wisdom; the concept of one door shutting and other doors of opportunity opening. Recalling the album’s formation, Samuel Eagles says: “Creating it has been a fantastic move forward. For me, when music connects, it builds a great feeling of intensity in my inner self. My hope is that listeners will sense something of a transcendental experience with this album”. If in a recent past it was a rarity, nowadays more and more classical musicians find in improvisation – and inclusively in the jazz language – an extra medium of musical creativity. That’s the case of the vibraphonist and marimba player Taiko Saito, complementing that dual frame with aspects coming from the Japanese tradition. 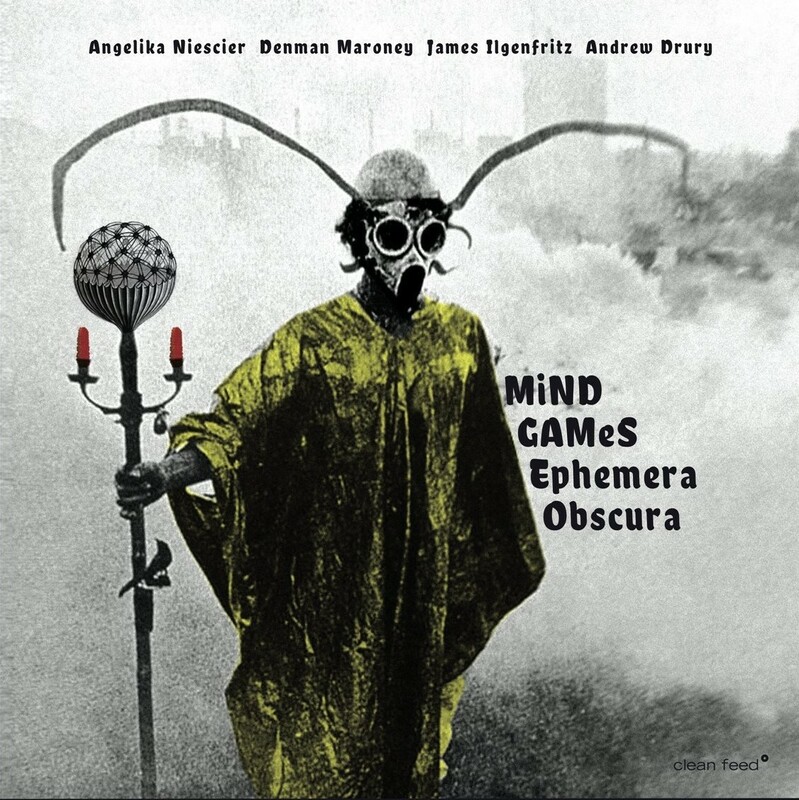 An interpreter of the music of contemporary composer Sofia Gubaidulina who also played with marimba virtuoso Keiko Abe, David Friedman and free improv with Kazuhisa Uchihashi, Saito co-founded a duo with the German avant-jazz pianist Niko Meinhold, responding with the album “Koko” (2006) to the emblematic “Crystal Silence” (1973), by the ground-breaking vibraphone-piano duet of Gary Burton and Chick Corea. They found in that ECM record a path to explore and the result was an enlargement of the previously oppened perspectives. 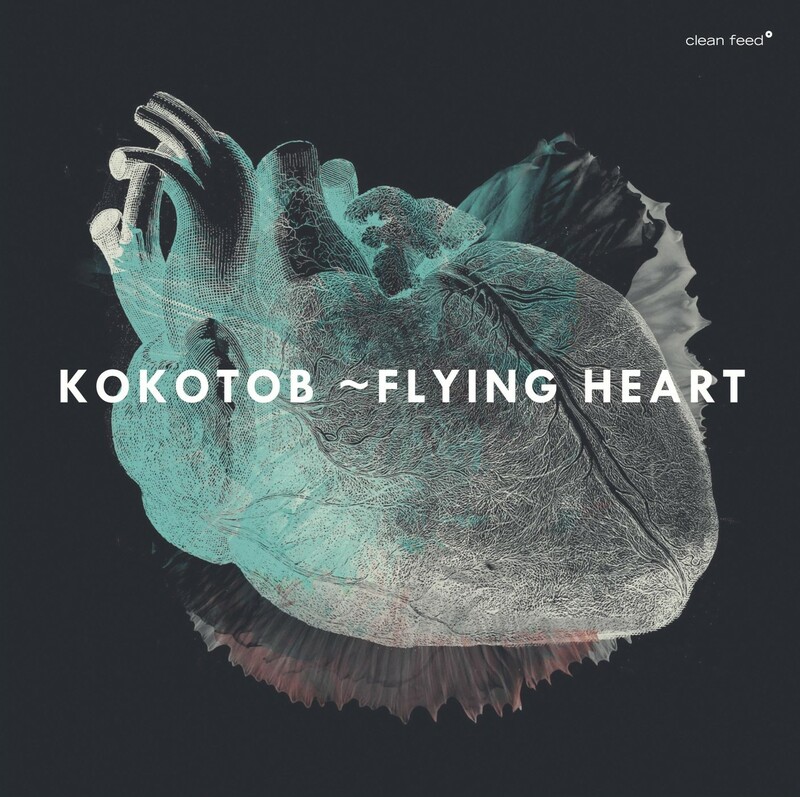 Other incursions combining the two instruments happened meanwhile, and it was time for Saito and Meinhold to search other possibilities: the duo Koko became the trio Kokotob, adding Tobias Schirmer and his soprano and bass clarinets to the interactions. The context continues to be the one of chamber jazz and the approach is still experimental, but now a breathing quality, of Schirmer’s responsability, is added to the vibrational character of the already known delicate and meditative – but abruptly contrasted with cutting-edge situations – musical world inhabited by Saito and Meinhold. A welcomed new episode of a work-in-progress that certainly will give us more surprises. Flux Reflux is the second recorded outing of this improvising quartet, and the first one for Clean Feed. 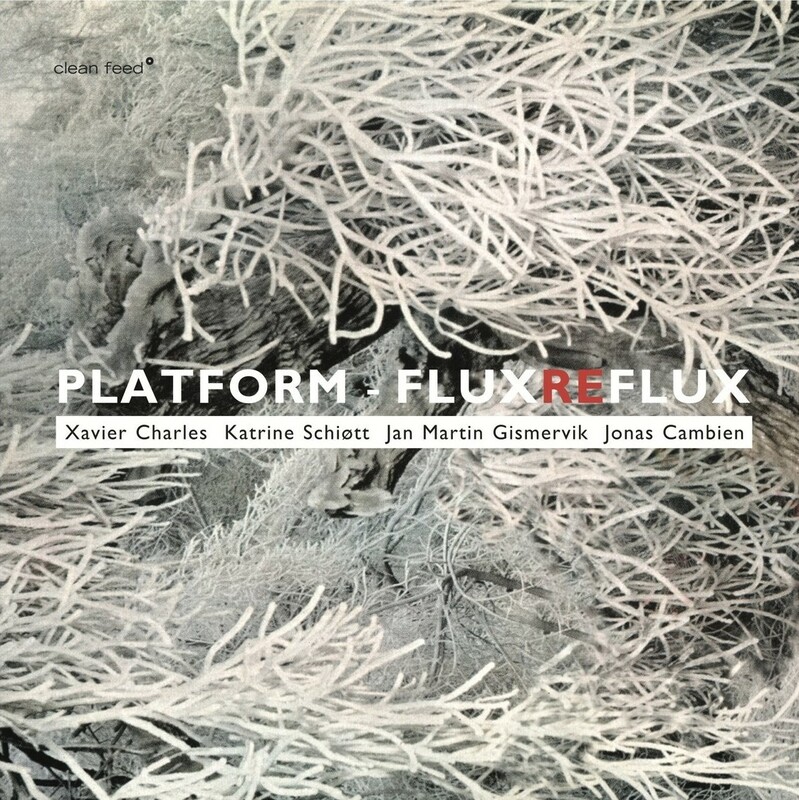 While Platform’s first album Anthropocene, was recorded right after the French clarinetist Xavier Charles joined three young musicians from Oslo to form a quartet, Flux Reflux is the result of several years of live experience. The album consists of 6 acoustic, improvised pieces, and contains no compositions in the traditional sense of the word. Yet all tracks have a clear direction, with few, well balanced musical elements packed into each piece. Parallell to Darwin’s discovery of how life can develop without intelligent design, this music organizes itself without a composer. Every piece composes itself through the individual decisions of the musicians. And in the same way, Platforms style has developed clear esthetics through the years, without intentional steering from above. This focus on collective listening is already apparent from the dreamy opening track ‘début’, and is intensified on the second track ‘Flux’, where percussive sounds on prepared piano and drums are placed along repetitive cycles of breathing sounds on cello and clarinet, creating dense polyrhythmic layers. From there, the album is all about incantative repetition and mutation of musical ideas, where each addition of elements is significant. The exuberant track ’Reflux’, contrasts with the sacral sound sculptures on ‘Interlude’, where time seems to stand still. On these meditative sheets of sound everything is slow, minimal and tightly united, in a kind of cinematic music approaching the static condition of photography. The effect is mesmerizing and strangely beautiful, in such a way that you become a listening statue. All of this acoustic details are beautifully captured by the unconventional methods of recording engineer Morten Qvenild, then mixed by Johnny Skalleberg and mastered by Christian Obermayer into a dense yet transparent sound image.